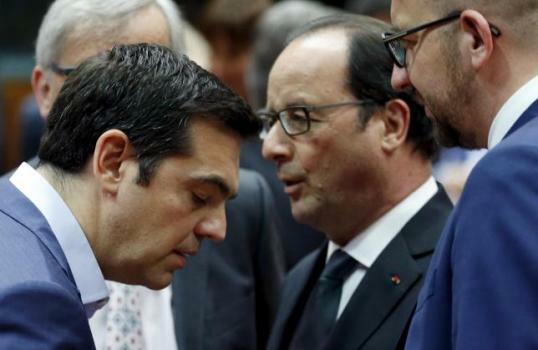 one leaders are meeting late into the night in Brussels in a bid to agree terms for a new bailout for Greece. The emergency summit is trying to find a compromise that will stop Greece running out of money and keep it in the euro. Eurozone finance ministers submitted a list of measures to the leaders following two days of fraught discussions. But one Greek government official called the proposals “very bad”. Another unnamed official said some of the proposals appeared designed to “humiliate” the Greek Prime Minister Alexis Tsipras and his left-wing Syriza government. The summit has paused twice to allow consultations between Mr Tsipras, German Chancellor Angela Merkel, French President Francois Hollande and European Council President Donald Tusk.